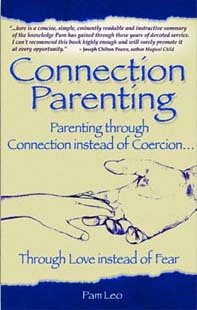 This FREE talk (MP3), An Introduction to Connection Parenting, is a gift from aTLC and Pam Leo, author of Connection Parenting, and aTLC founding board member. It supports the aTLC Blueprint and introduces the concept of building the vital parent-child bond that children need to thrive through connection parenting. If you like what you hear, please order the book. While you are here, we hope you will explore the aTLC website, read our Proclamation and Blueprint, and discover all the parenting resources aTLC has to offer.